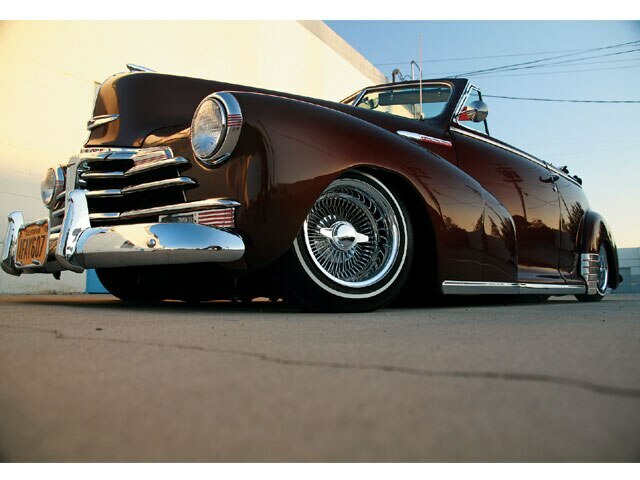 Ray's '48 Ragtop Is On The Prowl Once Again. Built as a tribute to his late father, Ray has a ton of a respect for the man who brought him up in Southern California. As a supervisor for a truck company, Ray figured that he could put together a head-turning bomb that can run with the best of them. An initial investment of $17,000 swelled to some $25,000 to get this car back on the road. 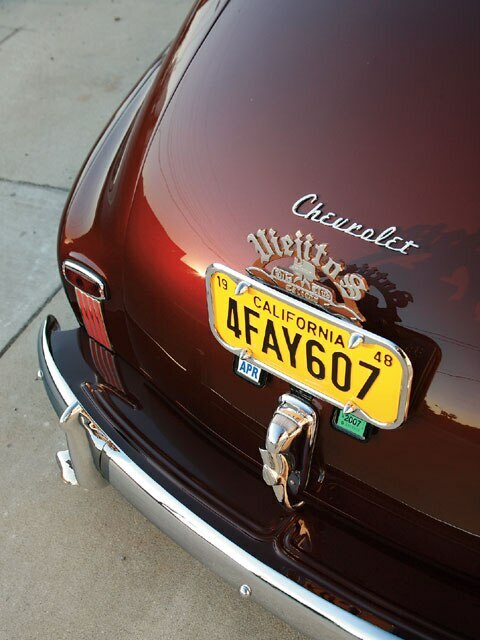 Over the course of two years, Ray, his buddy Albert Lomeli, his wife and fellow Viejitos C.C. members saw the fruition of this boulevard beauty. 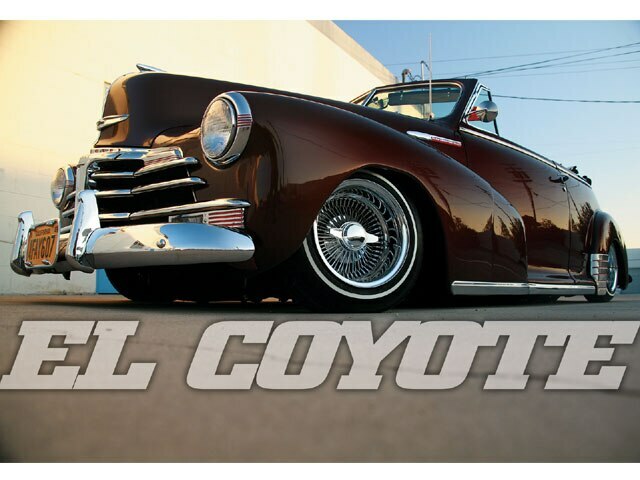 You may say that El Coyote is out on the prowl again. Oh yeah! Engine/Drivetrain: A 2006 350-c.i.d. 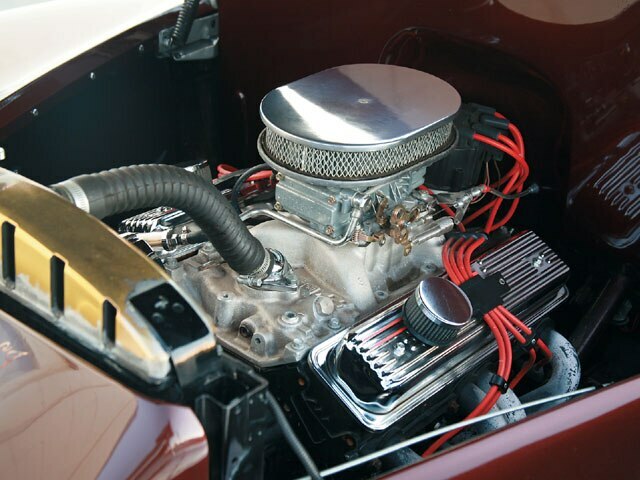 crate engine was built by Raynbow to suit the ’48 ragtop. Custom headers and a 350 transmission transfer the power from the engine to the rearend. 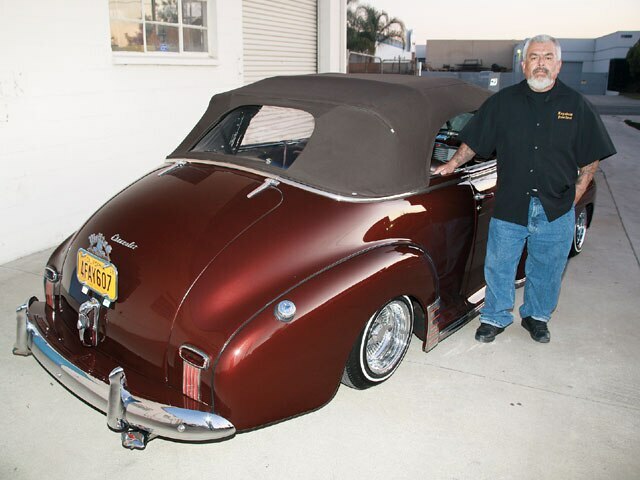 Body/Paint: With the help of his buddy Albert Lomeli, the owner got down on the hide of the ride by reducing the exterior to its raw state of bare metal. 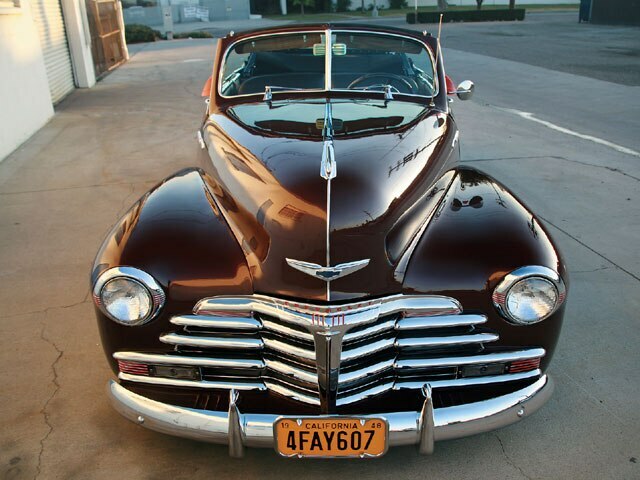 Body mods were not a choice, Ray simply wanted it to be a canvas for his paint job of pearl mahogany, the perfect color to envelope the car’s voluptuous curves. 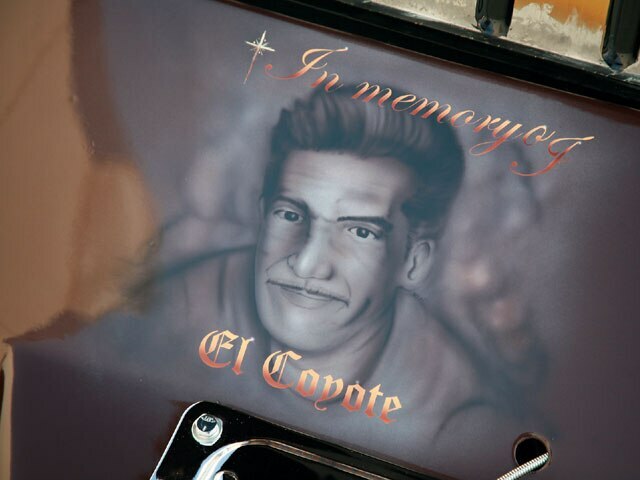 There’s a touching piece of artwork found on the underside of the hood… a mural depicting a portrait of his dear father for whom the car is named. The mural was executed by www.oscarsgraphics.com. 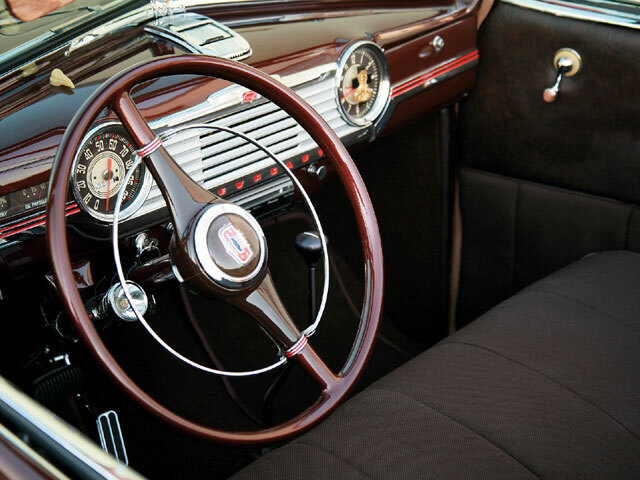 Interior: No fluff or do-dads, just clean lines from the dash to the boot at the rear. The dark brown tweed and leather combination was done by Tony’s Upholstery in La Habra, California. This includes the top which connects to a chrome-plated framework. The frame as well as the rest of the plating was done by La Habra Plating in La Habra. Sound System: Albert installed a Pioneer head unit along with two tweeters, four midrange speakers and a pair of subwoofers. 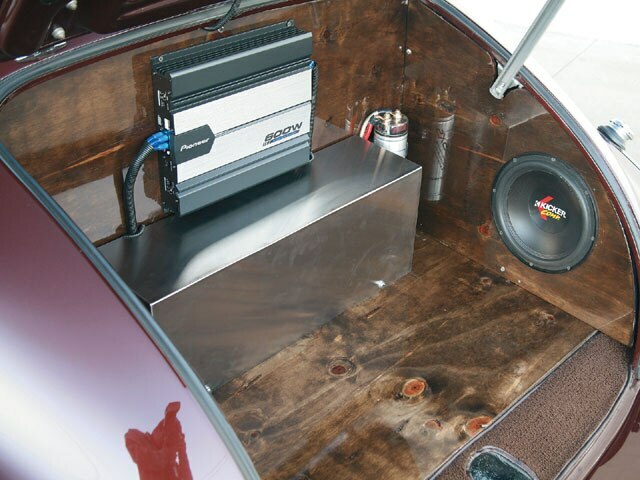 A pair of 600-watt amplifiers power the system which is wired into the hydraulics and the charging system of the car to keep it up to capacity when on the road. Setup: The team of Ray and Albert installed old school-style pumps and two tailgate-type units with Am-Flo dumps tucked away under the boot of the ragtop. The front end sports 6-inch cylinders with 8-inch strokes in the rear. Three-ton coils are at each corner and a C-notched frame helps create the low stance of the Chevy.